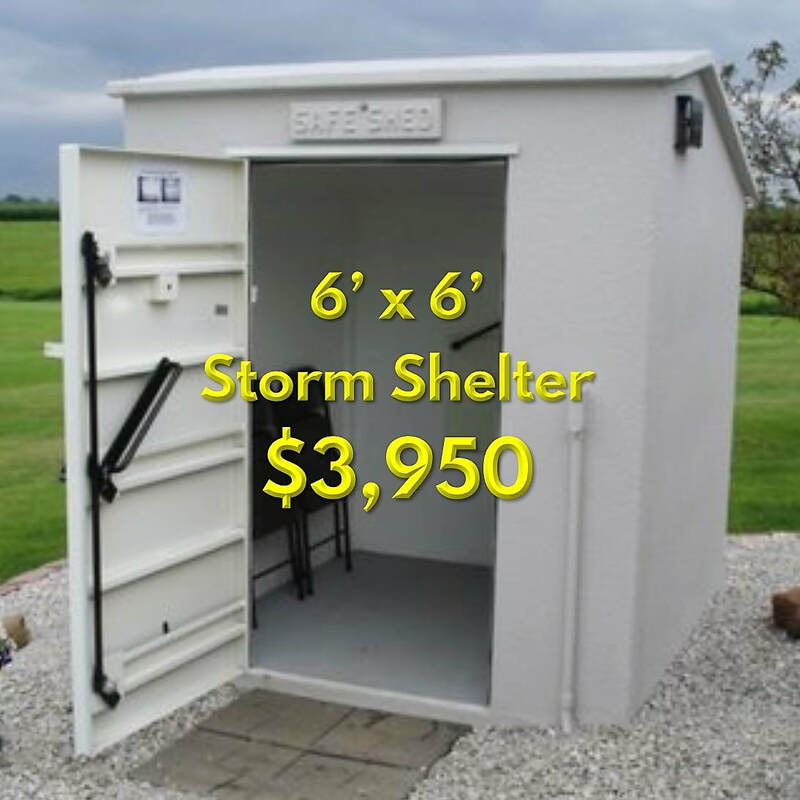 Tornado Shelter - Safe Sheds, Inc. LOOKING FOR THE BEST TORNADO SHELTER FOR YOUR FAMILY? 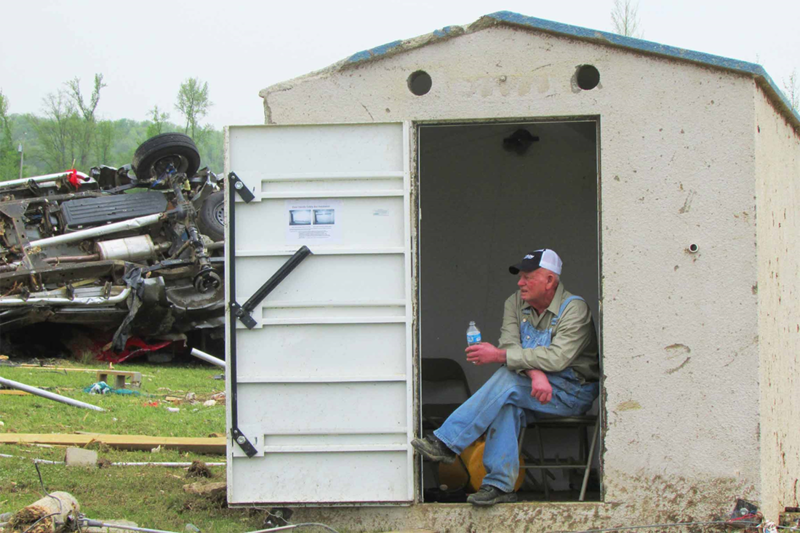 In April, 2014, a Safe Sheds tornado shelter saved the lives of seven people when an EF4 tornado hit them directly! The proof is on our Home Page! Room for seating or bedding, pet cages, and emergency supplies. Learn more about customizing your Safe Shed for your family!
" I want to thank your company for excellent service and an outstanding product." 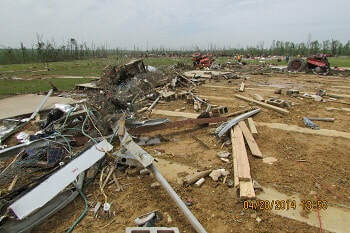 ​We've been building our steel-reinforced concrete above ground tornado shelters since 2002. 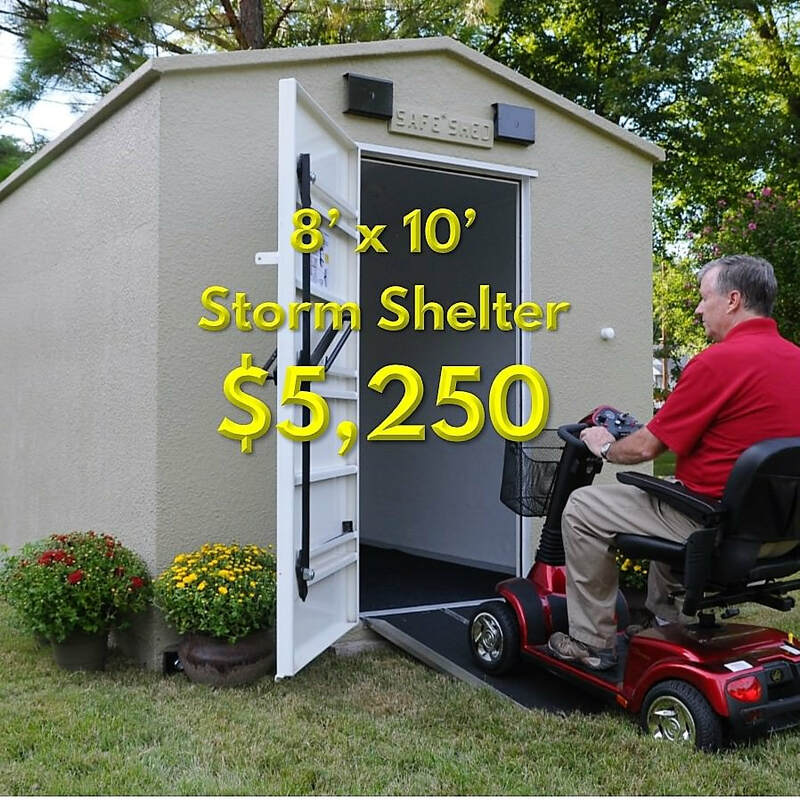 Safe Sheds shelters have been tested to make sure they meet or exceed FEMA 320/361 engineering standards and ICC 500 building codes. Our number one priority is making sure you and your family are protected from the most severe storms! 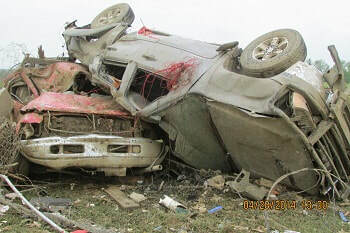 And we work hard to make sure you feel just as safe and comfortable throughout the ordering and delivery process as you will during an EF5 tornado. You don't have to take our word for it, though...read our customer reviews, or ask us to give you the name and phone number of a Safe Shed owner in your area. You can call or visit them and find out for yourself. The greatest compliment our customers can give us is a referral! "Our Safe Shed was delivered today. The driver, Lee, is a great guy who represented Safe Sheds with great skill and customer support. The shed's quality and finish inside and out is great. The function of the door is outstanding. 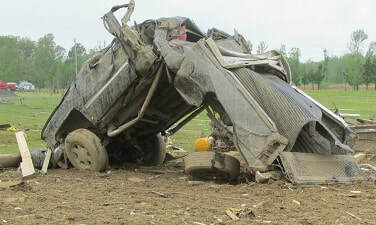 It's a comfort to my wife and I, knowing the Safe Shed will be here whenever we may need it."